What is this plant with long violet flowers? 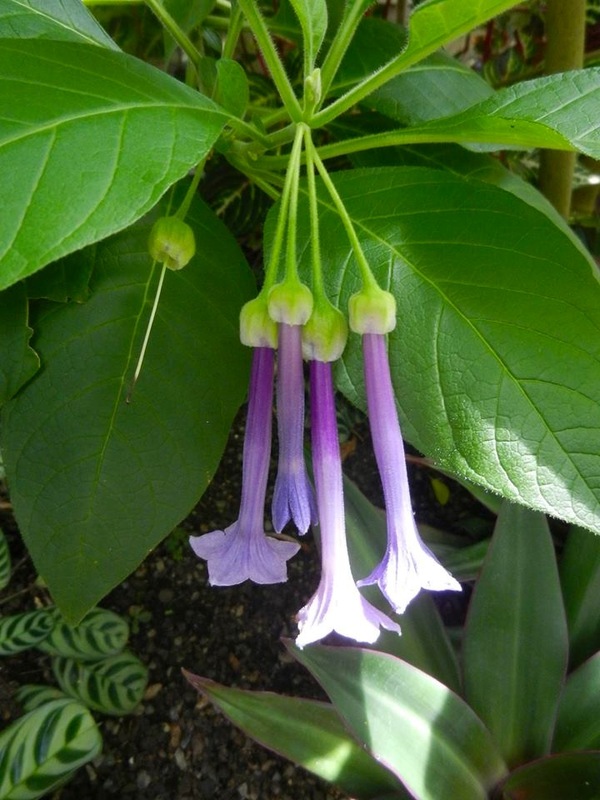 I’d like to know the name of this really cool plant with the long bell-shaped violet flowers with five petals at the end of the tube. The foliage is bright green. I saw this plant in Australia, but I am not sure if it is endemic to this country. Traveler Vice Professor Asked on September 3, 2016 in Flowers. It looks like a Lochroma in the Solanaceae family. Florist Vice Professor Answered on September 7, 2016.